PERCANCE ES SINÓNIMO DE FIESTA, MÚSICA LATINA, FUSIÓN Y ES LA MAGIA DE LOS ACORDES DE 11 JÓVENES COSTARRICENSES QUE DESDE 2007 DECIDIERON UNIR SU TALENTO Y LLEVAR LA VERSATILIDAD DE RITMOS Y SONIDOS EN CADA UNA DE LAS CANCIONES, DEJANDO UN MENSAJE AL PÚBLICO QUE DESDE SUS INICIOS LOS HA VISTO CRECER. 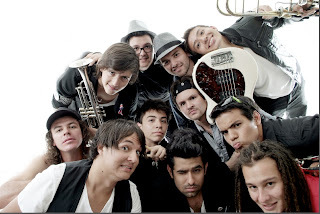 ESTEBAN (VOZ), MAURIZIO (BAJO), DENNIS (GUITARRA), FELIPE (TROMPETA), LUIS (TECLADOS), JONNATHAN (SAXO), JORGE (TROMBÓN), PIPE (TROMPETA), MARCOS (BATERÍA), MANI (TIMBALES Y PERCUSIÓN MENOR) Y CESAR (CONGAS Y BONGÓS), SON LOS ENCARGADOS DE DARLE EL SONIDO Y LA IDENTIDAD A PERCANCE GRACIAS A SUS INFLUENCIAS MUSICALES, PASANDO POR EL POP, EL FUNK, LA SALSA, EL MERENGUE, EL REGGAE Y EL ROCK, QUE AL MEZCLARLOS DAN COMO RESULTADO SKA FUSIÓN AL MEJOR ESTILO DE LOS TICOS. “GIRA EL MUNDO” ES EL PRIMER SENCILLO QUE SE DESPRENDE DE SU PRODUCCIÓN MUSICAL TITULADA “DÓNDE IRÉ A PARAR”, UNA CANCIÓN COMPUESTA POR DENNIS, ESTEBAN Y MAURIZIO QUE LLEVA PLASMADO UN MENSAJE POSITIVO Y OPTIMISTA Y QUE ADEMÁS CONTÓ CON LA PARTICIPACIÓN DE HANZEL CARBALLO, UNA DE LAS PRESENTADORAS DE TELEVISIÓN MÁS RECONOCIDAS EN COSTA RICA. EL VIDEO DE “GIRA EL MUNDO” SE GRABÓ EN SAN JOSÉ COSTA RICA, BAJO LA PRODUCCIÓN DE SYNCHRO FILMS, CON EL APOYO DEL CANAL DE VIDEOS MÁS IMPORTANTE DEL PAÍS VM LATINO. 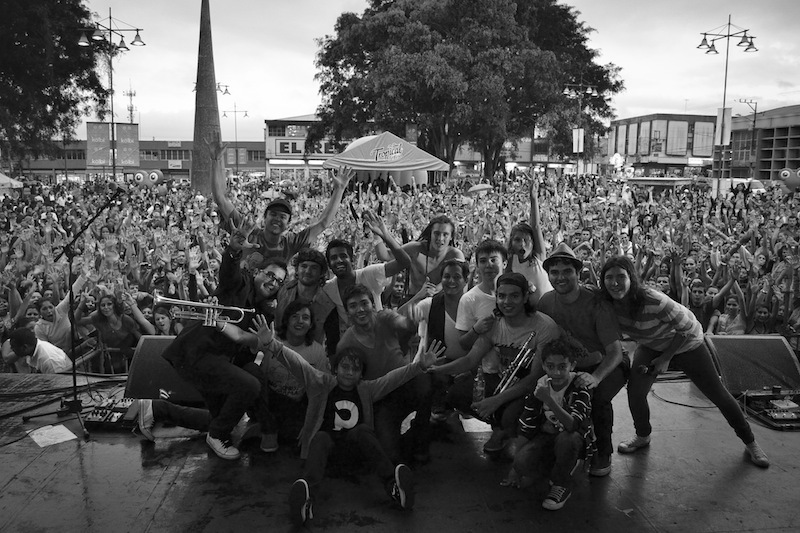 “DÓNDE IRÉ A PARAR”, TIENE NUEVE CANCIONES, COMPUESTAS EN SU TOTALIDAD POR LOS INTEGRANTES DE LA BANDA, DONDE SE PLASMAN HISTORIAS DE LA COTIDIANIDAD DE JÓVENES COMO LOS INTEGRANTES DE PERCANCE. EL DISCO FUE GRABADO EN COSTA RICA BAJO LA PRODUCCIÓN DE ALBERTO ORTIZ, MEZCLADO EN MIAMI POR BORIS MILÁN Y MASTERIZADO POR BRAD BLACKWOOD EN EUPHONICMASTERS, MEMPHIS TENNESSEE. DURANTE CINCO AÑOS DE CARRERA ARTÍSTICA, SON MUCHOS LOS LOGROS Y RECONOCIMIENTOS QUE PERCANCE HA OBTENIDO: GALARDONADOS DOS VECES EN ESPAÑA CON EL PREMIO 40 PRINCIPALES COMO MEJOR ARTISTA DE COSTA RICA, GANADORES DE TRES PREMIOS ACAM 2011 (ASOCIACIÓN DE COMPOSITORES Y AUTORES NACIONALES DE COSTA RICA), ROMPIERON EL RECORD DE ASISTENCIA AL LANZAMIENTO DE “DÓNDE IRÉ A PARAR” LLENANDO LA PLAZA DE LA DEMOCRACIA EN COSTA RICA CON MÁS DE 8 MIL PERSONAS. CON EL VIDEO DEL SENCILLO QUE LE DA NOMBRE AL DISCO “DÓNDE IRÉ A PARAR”, PERCANCE ALCANZÓ EL PRIMER LUGAR DENTRO DE LOS 10 + PEDIDOS DEL CANAL MÁS IMPORTANTE DE VIDEOS MTV. RECIENTEMENTE FUERON ESCOGIDOS POR LA ORGANIZACIÓN DE NACIONES UNIDAS PARA LA AGRICULTURA Y LA ALIMENTACIÓN (FAO) COMO VOCEROS DE LA CAMPAÑA “ÍDOLOS DE CORAZÓN” QUE LUCHAN CONTRA EL HAMBRE, LA DESNUTRICIÓN Y LA POBREZA DE COSTA RICA. PARTE DEL ÉXITO DE PERCANCE ESTÁ RESPALDADO POR LA IMPECABLE PRODUCCIÓN DE SUS CONCIERTOS Y LA ENERGÍA QUE EMANAN AL ESTAR MOSTRANDO SU SHOW EN LOS ESCENARIOS. 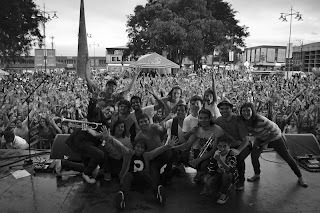 LUEGO DE GIRAR POR VARIAS ZONAS RURALES DE COSTA RICA, LA BANDA DECIDE TRASPASAR FRONTERAS LLEGANDO CON SU MÚSICA A PAÍSES COMO GUATEMALA, HONDURAS, PANAMÁ, MÉXICO Y EN EL 2012 QUIEREN LLEGAR A CONQUISTAR EL PÚBLICO DE SURAMÉRICA.